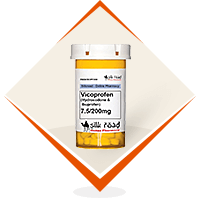 Vicoprofen is the brand name for the medicine hydrocodone. This medication is an pain reliever and a cough suppressor. Therefore, It is similar to codeine while its effects is like morphine. It is prescribed by doctors as an anesthetic, making it as one of the most abused types of pain medication. Moreover, many people can develop Vicoprofen addiction. How does Vicoprofen abuse occur? What are the side effects of Vicoprofen? What are Vicoprofen withdrawal symptoms? How can Vicoprofen addiction be treated? Since the drug can be easily obtained through prescription, it’s abused due to its opioid effects. Abuse of this drug starts when the user takes it for recreational purposes, develop high tolerance leading to dependency, and afterwards, addiction. Vicoprofen abusers may take it orally and mix it with other substances such as alcohol. A few weeks after intake, dependency on this drug starts, mainly affecting the user’s brain in the production of endorphin. As a result, with prolonged drug use and abuse of Vicoprofen, the user will need to take more of this drug to function normally. Patient taking this drug could feel the side effects immediately. Because it is not time released, individuals who have developed an addiction to the drug will need to increase the dosage to achieve the same high on Vicoprofen. There are cases where patients took 100 pills a day just to stay high. There are also long-term side effects from the abuse of Vicoprofen that could lead to serious, life- threatening medical conditions. This include liver damage, hearing loss, and death from overdose. Vicoprofen is the combination of opiate painkiller hydrocodone and the anti-inflammatory drug ibuprofen. As a result, the component opiate found in this drug could lead to addiction from long term use. With the combination of pain relief and feeling high, individual taking Vicoprofen will develop dependency which turns into an addiction. Vicoprofen is a prescribed drug for chronic pain. When a patient takes this drug for some time, he or she will develop a dependency on this drug. Other external factors that will compel a user to depend on this drug are stress, depressions, peer pressure. High tolerance to this drug could progress rapidly, which makes the user want more of this drug to achieve the same effect. When a user becomes used to taking this drug on a regular basis, he or she becomes physically and psychologically dependent on it. Do not hesitate to contact a specialist if you have noticed any signs of Vicoprofen addiction. Vicoprofen is considered to be a powerful drug, and those individuals who abuses and become addicted to it will find it hard to quit. Users who stopped taking this drug will have to undergo a difficult withdrawal process from the physical and psychological dependency on it. This means they can’t function normally without it. Detoxification is the first-line of treatment for people with addiction to Vicoprofen. This medical procedure is done at a hospital or any accredited drug treatment facility under the strict supervision of medical professionals. After the detoxifying all the harmful toxins of Vicoprofen are removed from the system. Patients undergoing abuse treatment are also given synthetic opiates to help manage the withdrawal symptoms. In addition, the dosage is slowly tapered to reduce the discomfort and withdrawal symptoms. There are addiction treatment resources that will recommend minimal sedation to numb the patient during the withdrawal process. Patients are given the freedom to choose between inpatient and outpatient drug rehab services to help them get the right treatment and care for a complete recovery from the opioid addiction.